Samsung does not want Colour Vision Deficiency (CVD) – commonly referred to as colour blindness – to inhibit anyone's television-watching experience. The company is making its innovative app, SeeColors, compatible with several of its TVs. 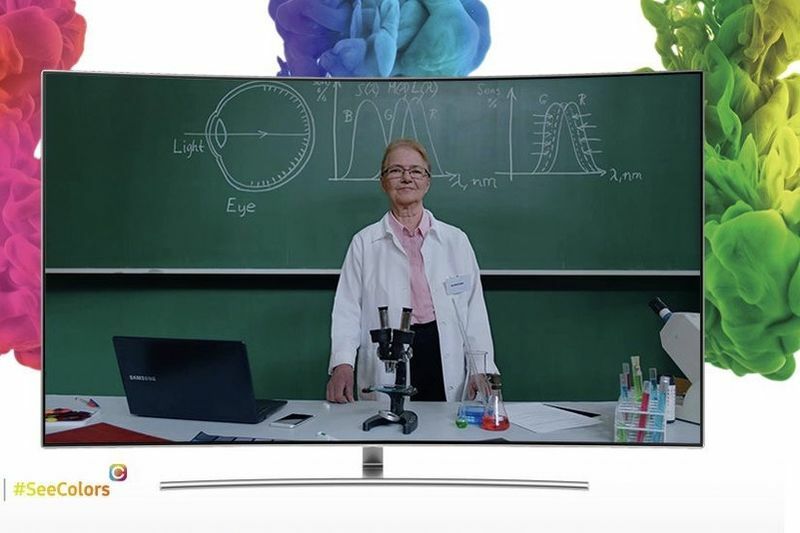 Samsung announced that the app will now work with all Samsung QLED (Quantum Dot LED) TVs. According to CNET, those devices are unique because they have microscopic molecules that emit light when illuminated by an LED backlight. The SeeColors app works to help identify the type of CVD a person has and determine how it impacts their vision when looking at a screen. It then adjusts the colour display to make it more accurate. "Samsung is committed to making people’s everyday lives smarter and more convenient through technology and innovation," Hyeongnam Kim, Vice President of the Visual Display Business at Samsung Electronics, said in a press release. Samsung reports that nearly 300 million people in the world have CVD and many are unaware they're even being impacted. The app was announced back in January but only worked with smartphones and Tizen-based TVs. "The launch of SeeColors for QLED TV embodies this mission by providing users with a way to address one of the world’s biggest optical challenges through the latest technologies and visual displays," Kim said. To ensure displays are properly recalibrated for each set of eyes, Samsung partnered with Department of Mechatronics, Optics, and Mechanical Engineering Informatics's Professor Klara Wenzel. Wenzel, who works at the Budapest University of Technology and Economics, developed the Colorlite Test, aka the C-Test, to determine levels of CVD. People can download SeeColors on Google Play and in the Smart TV App store, and take the test for themselves using a mobile device or television.